After the lunch at Alain Llorca with my husband, we were talking to friends about the validity of Michelin starred restaurants, how they get chosen, and what we like to get out of a ‘Michelin’ meal. 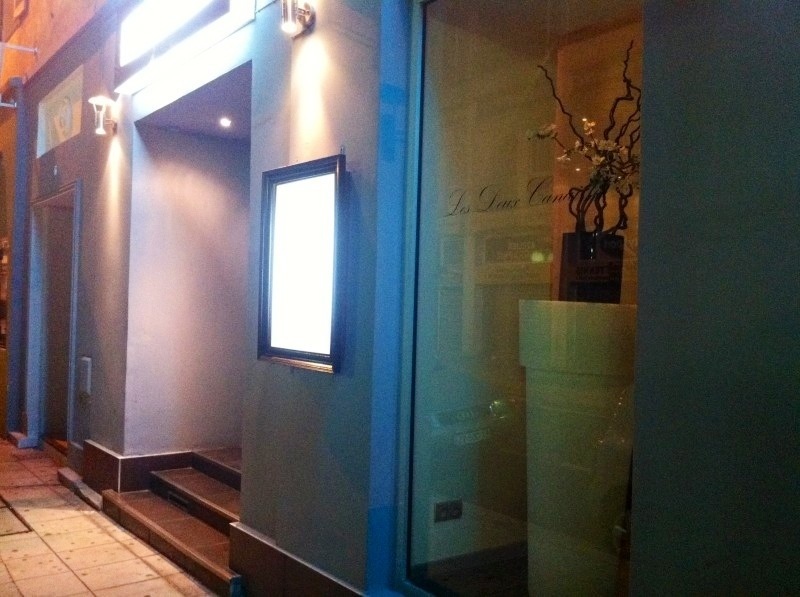 One for our friends suggested we try Les Deux Canailles and said it was the best meal they had in years. He had mentioned an onion in which each layer was placed a piece of prosciutto. 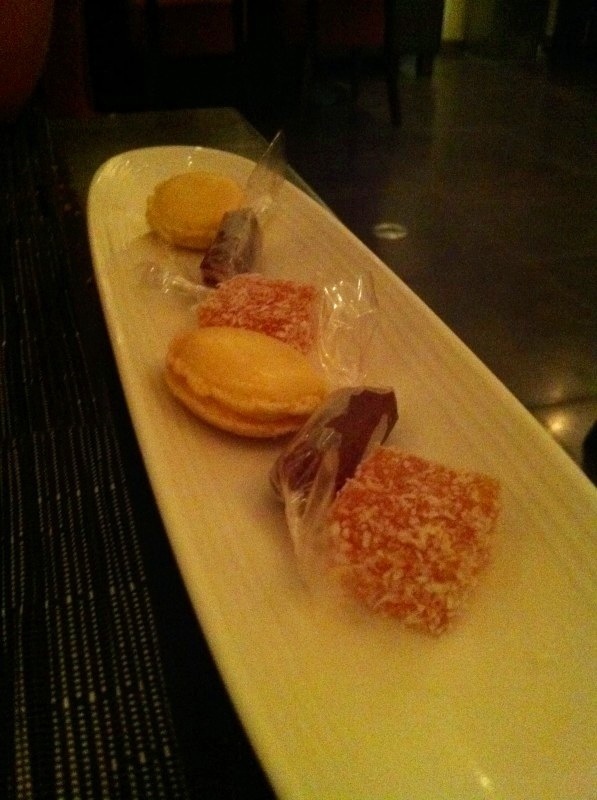 It sounded amazing, and when I heard it was based on the trinity of flavors we made a reservation. I’ll admit, I was a little embarrassed to walk in with my beach shorts and top, but we were running late and I didn’t have time to change. So I looked like an American tourist entering this Japanese-Franco fusion fine dinning restaurant. The first impression is that this is a clean and understated restaurant. The server and sommelier are both Japanese and very friendly. 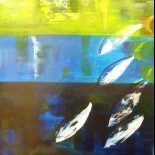 The colors are soft and simple. 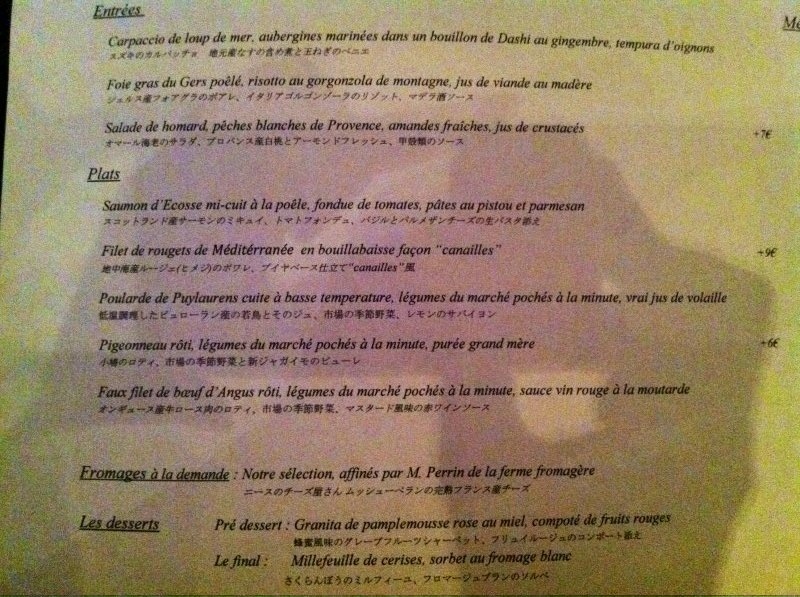 We started with a glass of Veuve Clicquot and decided to get the chefs tasting menu which was around 60€. 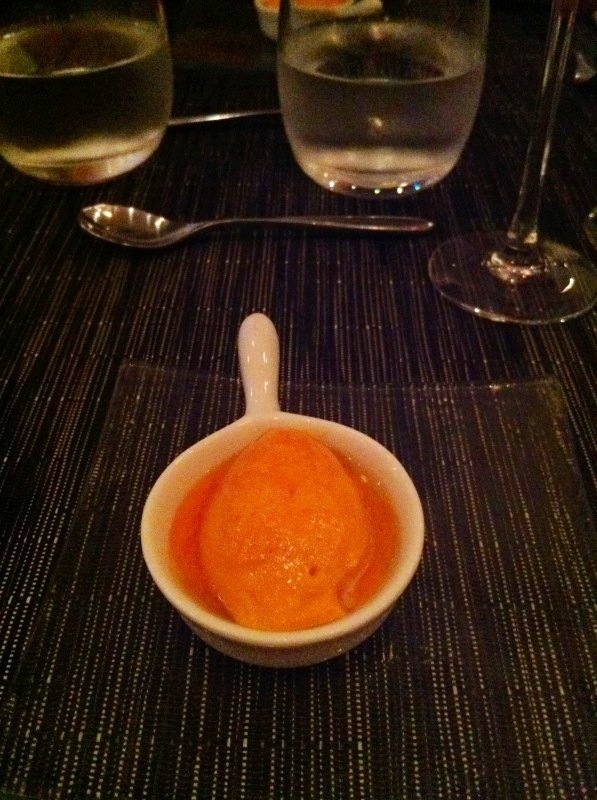 The first amuse was a canelle of red pepper mousse which was so light and fresh, and really retained the flavor of the pepper. I’d love to know how they did it, because I tried to emulate this at home and couldn’t get the same intense flavor. 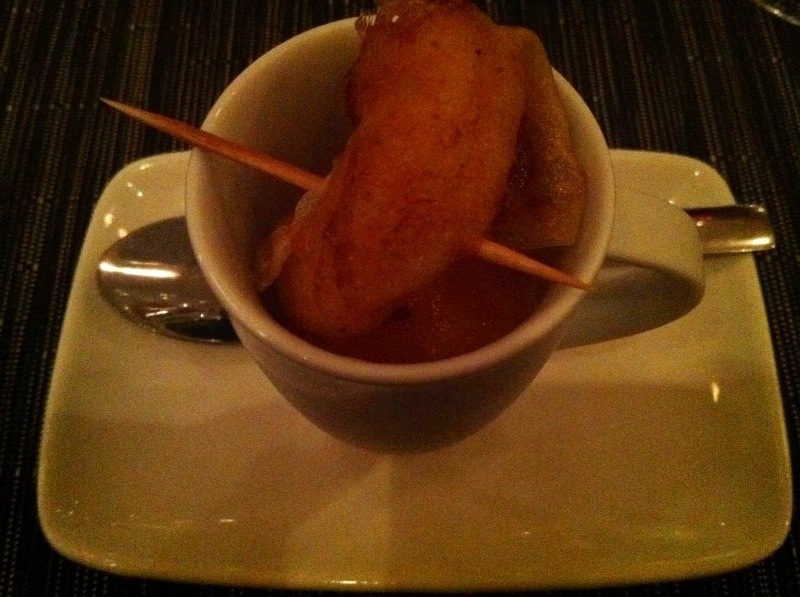 The second amuse bouche was a chilled melon soup with a shrimp fried in a wonton wrapper balanced on top. Both were delicious, and what I loved is the simplicity of the perfectly cooked ingredients…again something I try to do but am not able to do perfectly yet. I was really excited because I had wanted the lobster salad and that was our first entree, delicious. It was so nice to get fresh almonds after having to break so many myself at restaurants as a staggiere! They’re amazing! 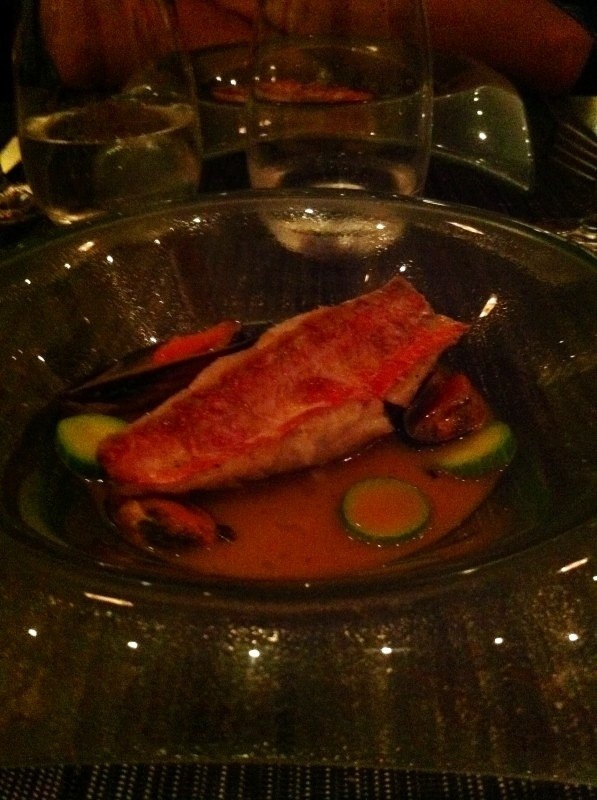 Then we got our second entree, the rouget bouillabaisse…which was my second choice. I mean, really, no complaints and only praise for such a delicious meal! 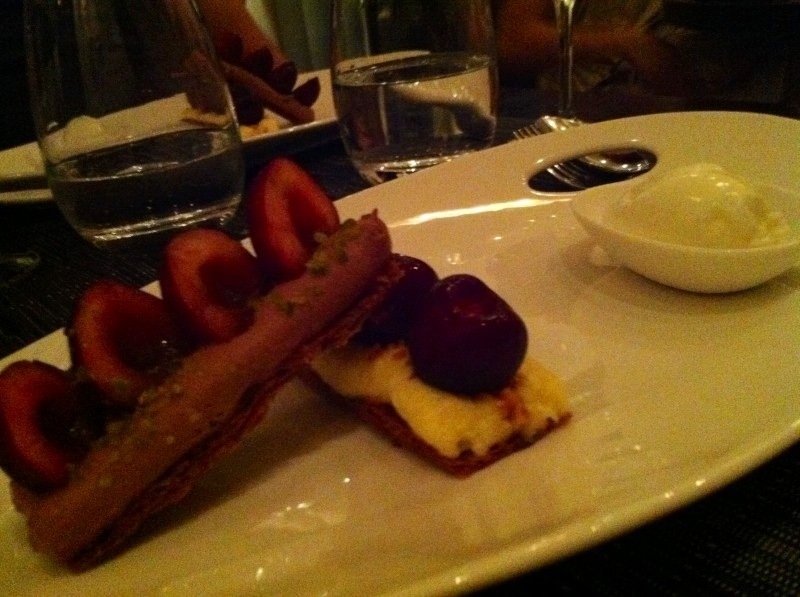 Then came another course! 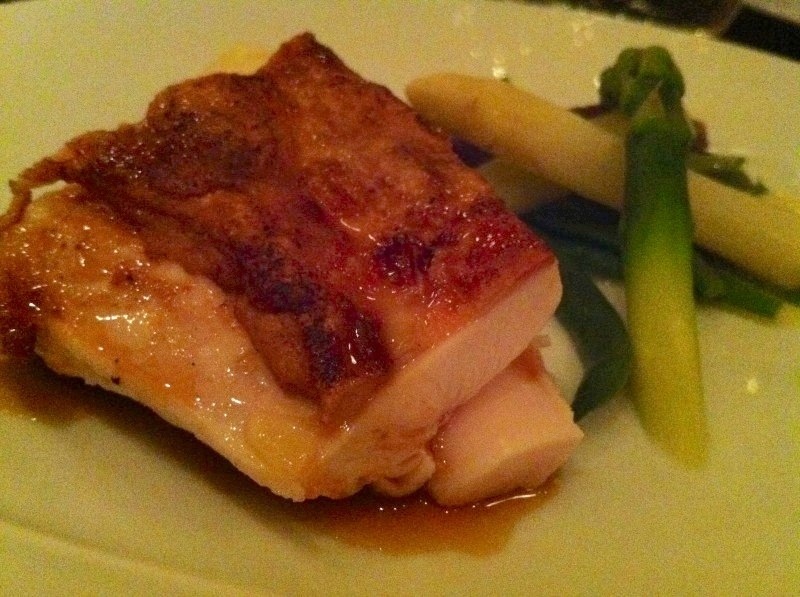 The base temp cooked chicken (poularde). This was without a doubt the most tender, juicy chicken I have ever eaten. I hope they keep this on the menu forever. 6 rue Chauvain, Nice, France. Telephone +33 9 53 83 91 99. Dinner only, closed on Sunday. make a reservation online here. 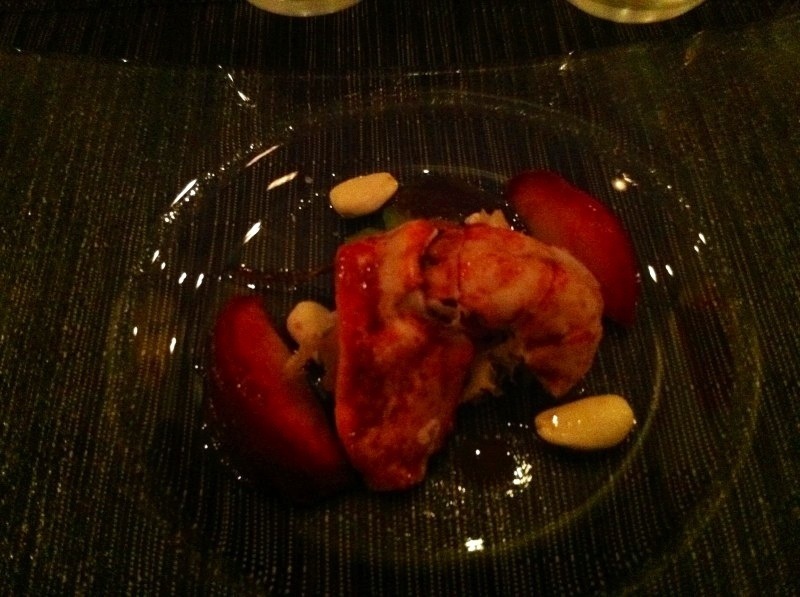 This entry was posted on 16/07/2012 by RuedOdessa in Cuisine, France, Nice, Restaurant and tagged bouillabaisse, chicken, fusion, Japan, Japanese, les Deux Canailles, melon, Nice, shrimp, Tsumoru Takano.